I used the Forest Goddess image from Some Odd Girl to create this art journal page, she reminds me of an elf from Lord of the Rings, so used a quote from the movie, plus, it's like my favorite movie EVER!! I used a variety of supplies, distress paint, stamps, big brush markers, texure paint, stickers, copics, and of course my art journal. I love these pages, Sharla, and they look like they were really fun to put together! I really like the mixed font of your sentiment! Thanks for joining us at the Simon Says Stamp Wednesday challenge! OMG! Your art journal is amazingly beautiful! Really loving the night scene. You did a wonderful job coloring SOG Forest Goddess. She's beautiful! 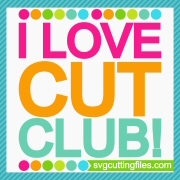 And I LOVE how you created the fun sentiment with all the different fonts and sizes! Wonderfully done! Beautiful! This night time page is awesome! 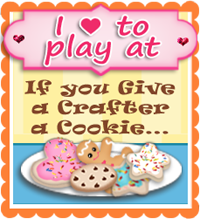 Thanks for joining us at Simply Papercraft! 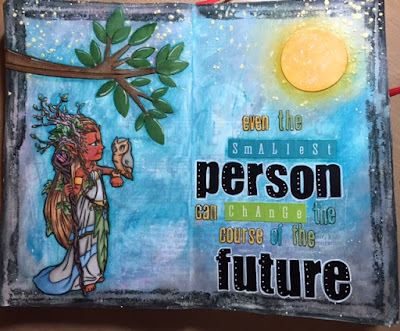 Super gorgeous art journal page! Just beautiful! Thank you for joining us for our markerPOP challenge!